Charles spent 17 years in the information technology industry as a project manager, a technical architect, systems analyst and business information analyst. His experience includes work in the telephony, data mining, tax, and paper industries. He considers his primary strength to be his ability to bring together a diverse group of professionals that work together to achieve the company vision. An entrepreneur in the truest sense, he is involved in every part of the business. He recently headed the development and rollout of the cloud version of Alliance Calibration’s internal production system, CalEnvoy. He and his reports are currently developing revolutionary software that will facilitate unprecedented quality and throughput for a testing laboratory. “Our business is built on delivering a five business day turnaround for our customers. We believe that being on-time is a reflection of our commitment to quality. Having a dedicated I.T. department enables us to not only respond to issues that challenge that production schedule, but also to rapidly develop, test and deploy new tools and apps in anticipation of where we feel the industry needs to go”. Charles has a Master's degree in Quality Assurance from California State University, a Bachelor’s degree from the University of South Florida in Computer Technology, and is a Certified Lean Six Sigma Green Belt. He maintains active memberships in multiple industry organizations. Phil has been with Alliance since 2009. Alliance Calibration was selected by the Public Utilities Commission of Ohio to provide technical expertise in the Smart Grid Mid-Deployment review and has been commended for their work. Phil has been recognized by the Kentucky Department of Education for his efforts to promote Science education. 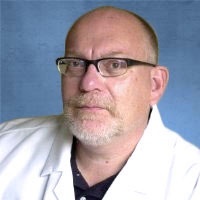 Phil earned a BS degree in Chemical Physics from Centre College and holds numerous professional certifications including ASQ-Certified Manager of Quality/Organizational Excellence and ASQ- Certified Quality Auditor and Hubspot Inbound Certified. 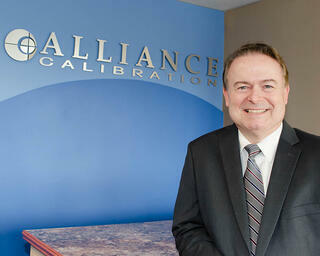 Prior to Alliance Calibration Phil was President of Chemical Treatment Solutions.